Planning software for finance teams can improve productivity by more than 70%. 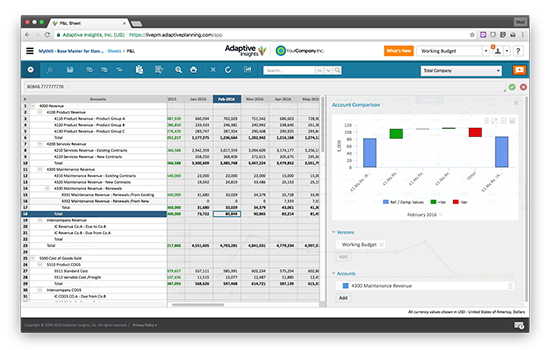 Reduce the time spent manually budgeting, planning and forecasting by integrating revenue and expense planning – all with the benefits of a cloud-based planning system that is accessible on the web, in Excel or via mobile. Centralise budgets, actuals, plans, calculations, cell notes and forecasts with our flexible planning software. 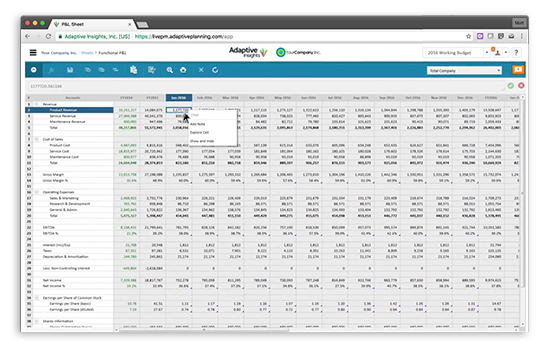 With a complete audit trail, you can see the source behind any value, formula or assumption – allowing you to build trust and accountability, as well as a planning process that can scale with your business. 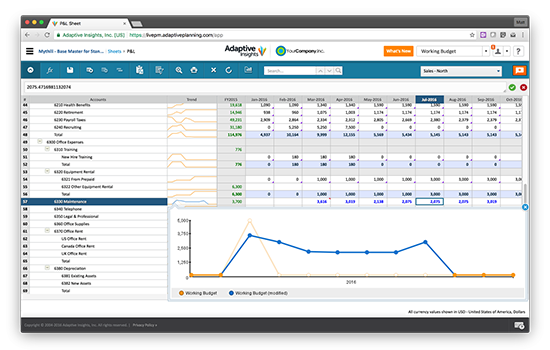 With Adaptive Planning, you can model anything from budgeting expenses to revenue forecasting. Integrated finance and currency logic helps eliminate the complexities in global and departmental planning – resulting in integrated planning that drives transparency within the entire organisation. 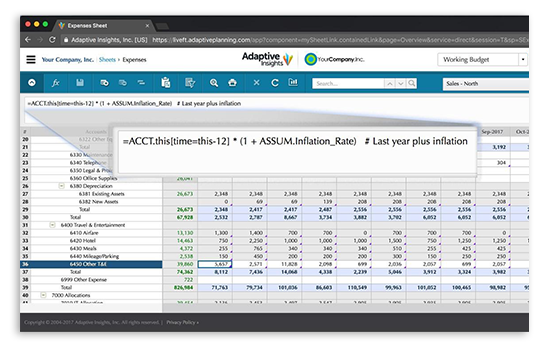 Adaptive Planning enables rolling forecasts with driver-based scenarios that can be adjusted in real time with the latest actuals, assumptions and modules – allowing you to proactively manage change, model potential outcomes, and course-correct quickly and easily. 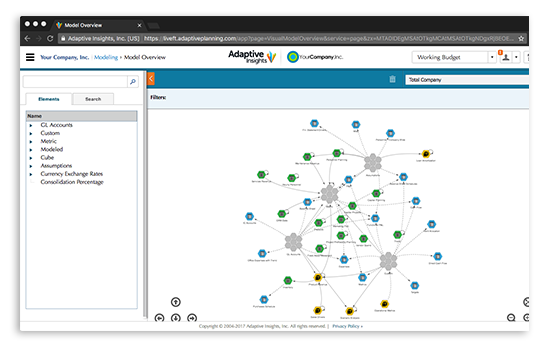 Speed and efficiency is enhanced with Visual Model Overview – enabling new administrators to get up to speed with ease; graphically visualising your business model and data flows in a single view. 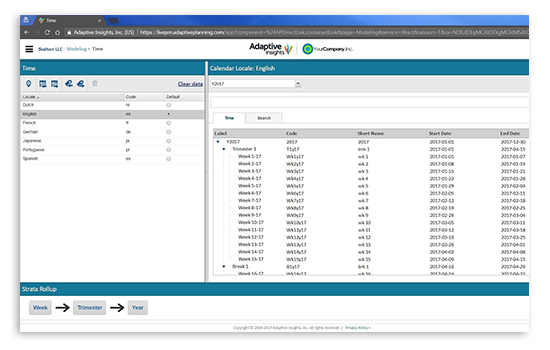 Adjust and update this representation dynamically based on the version and level selected, and understand your model and data flows without the need to click through multiple pages. Quickly and easily create step-by-step user guides – tailored to their specific roles, and directing them to the exact location in the financial model that they need to give input. 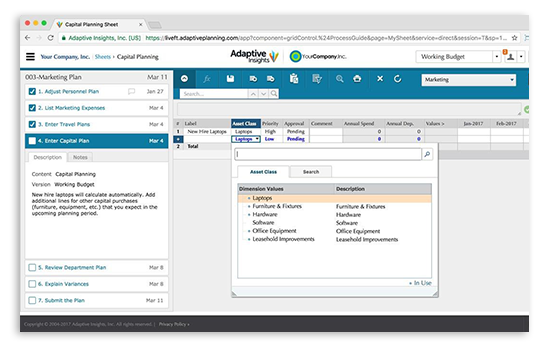 Simplifying the process allows new or occasional users to collaborate in each planning cycle or budget – ensuring that they can complete tasks easily, and in time. With access to extensive business logic and calculations, it becomes easy to write and maintain complex formulas. Write them once, and then apply these formulas – which represent the true realities and complexities of your business – wherever it makes sense in your model. Flexible time modelling means that your fiscal calendar can match your business needs – giving you the ability to model using any calendar that suits you. Use conventional calendars with days, weeks and months; or set up a calendar that matches your unique business calendar.